A community built around an exceptional quality of life where residents enjoy access to a great range of wellness facilities and services. This, in addition to beautifully styled contemporary apartments and sky villas, 21st century amenities and a panoramic location is what sets this resort apart. 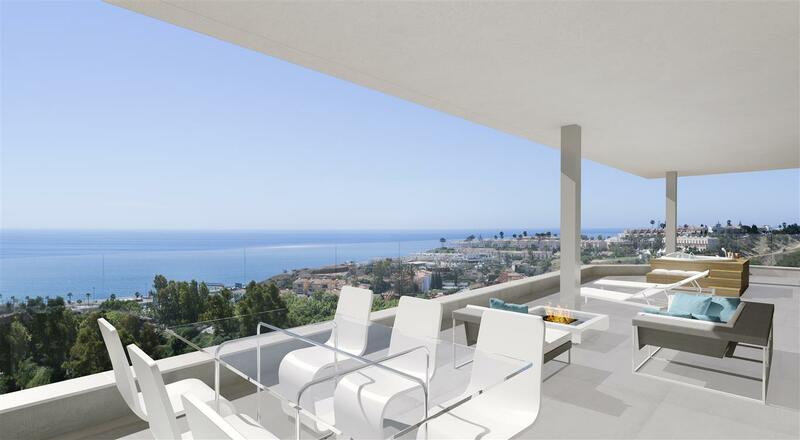 Close to major road networks yet sheltered from them, Higuerón West is within a 10 to 25-minute radius of Fuengirola, Benalmádena, Mijas, Marbella, Málaga and the international airport. 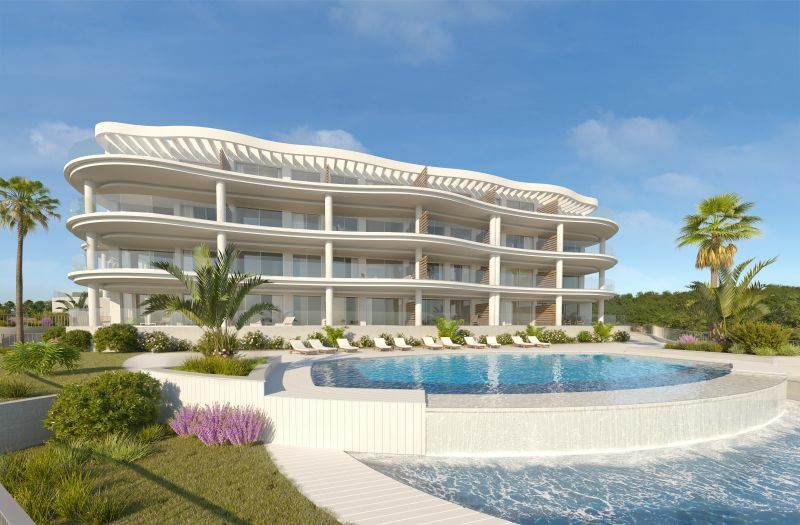 Alternatively, you can also be on the beach, golf course or enjoying a wide array of sports and pursuits in a matter of minutes. At Higuerón West it will be possible to find an optimal balance between work and living, with an inspiring co-working space within walking distance of your home. 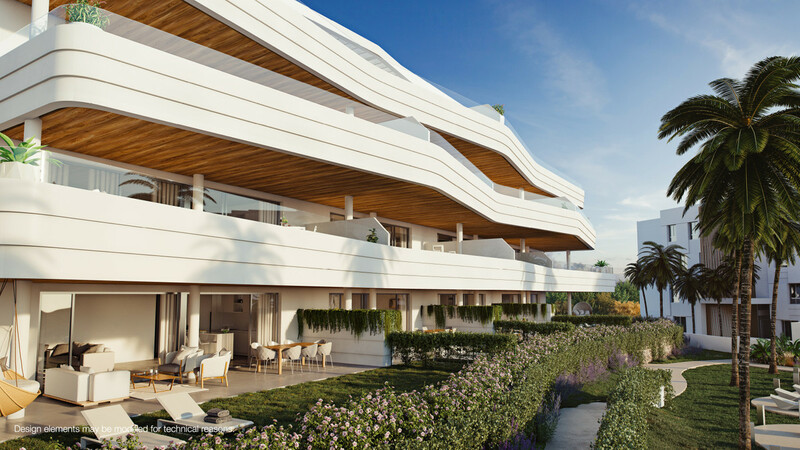 The apartments, garden and sky villas in the first phase of 76 units are laid out in small, intimate blocks of 5-7 properties each, and surrounded by gardens carefully landscaped to create a sense of peace and beauty around the homes. 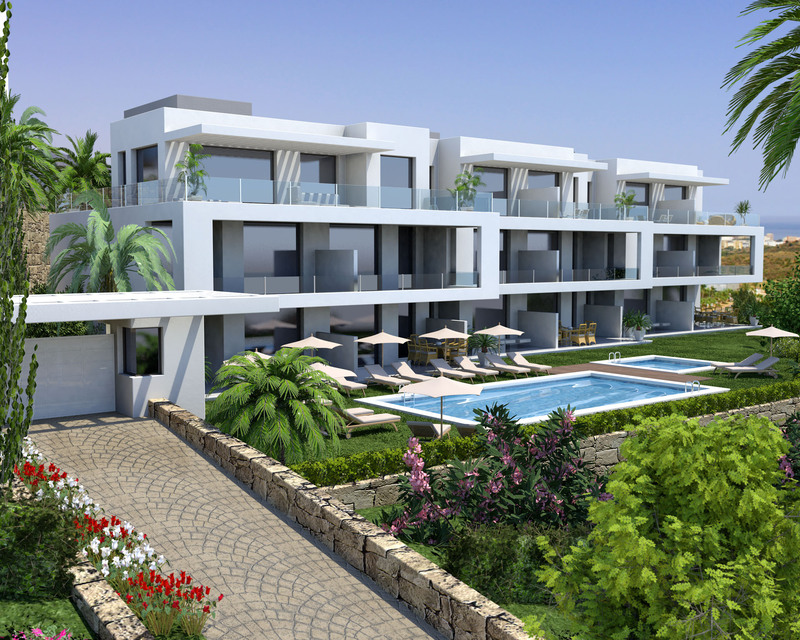 The apartments are open planned and spacious and have been designed to recreate the experience of living in a villa. We achieve this by our unconventional approach where we move the sleeping area to the mountainside of the property and thus allowing for a third more living space which, combined with the oversized terraces, effectively doubles the living area. Beautifully crafted kitchens extend onto terraces with stunning views, and runner tracks for our sliding glass doors are indented into floor level so that indoor and outdoor space flow seamlessly together. Higueron West features a modern co-working space that makes it possible to work on your doorstep if you prefer and provides a flexible, creative 21st century working environment where you can brainstorm, meet your clients, work on projects, network and enjoy a full set of professional support services. 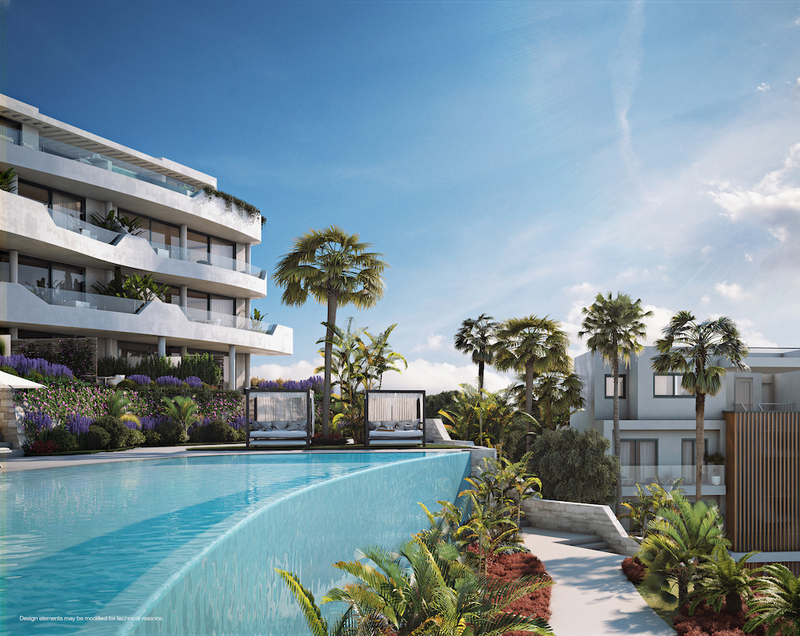 The new neighbourhood will be adjoined to Reserva del Higuerón Resort Sport Club and Nagomi Spa amenities, where a free lifetime family platinum membership is included with the purchase of your property at Higuerón West (retail value of €6.000). The Sport Club occupies a spacious 12.000 m2 and has a high-tech gymnasium, plus indoor and outdoor swimming pools. Exercise classes and swimming lessons are available for both adults and children. The award winning Nagomi Spa is dedicated to beauty, wellbeing and relaxation. It has a 25 metre indoor pool, a hydro-massage circuit, sauna and Turkish bath. Additionally, there are a wide range of professional services available including naturopaths, physiotherapists, masseurs, hairdressers, beauty treatments, yoga, tai-chi etc. When you’re ready for a break, the Reserva del Higuerón Resort boasts a large variety of gastronomical choices including 2 poolside cafés, a coffee shop, a Japanese restaurant, a buffet, a pizzeria, an indian restaurant, a bistro bar and a Michelin starred restaurant. The adjoining DoubleTree by Hilton Resort & Spa Reserva del Higuerón is also part of the resort and offers the perfect hassle-free solution for visitors. 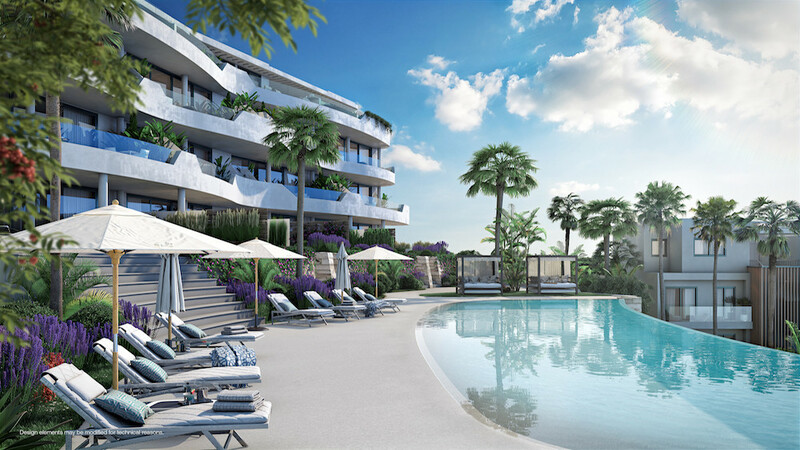 On top of all of this, the resort already has its very own commercial centre with a Carrefour supermarket, and will soon boast a fleet of electric cars and bikes, plus its very own beach club.